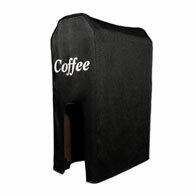 Beverage Dispenser Cover, 20.75"Dx16.25"Wx24.75"H (10 Gallon), Twill, Assorted Colors|100% Polyester|Machine Washable|Flame Retardant|Printable|Custom sizes available. Call for information. 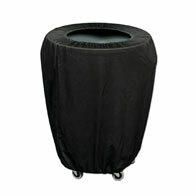 Trash Can Cover, 19.5"Dx22.875"H, (20 Gallon) Twill, Assorted Colors|100% Polyester|Machine Washable|Flame Retardant|Printable|Custom sizes available. Call for information. Trash Can Cover, 19.5"Dx22.875"H, (32 Gallon) Twill, Assorted Colors|100% Polyester|Machine Washable|Flame Retardant|Printable|Custom sizes available. Call for information. Trash Can Cover, 24"Dx31.5"H, (44 Gallon) Twill, Assorted Colors|100% Polyester|Machine Washable|Flame Retardant|Printable|Custom sizes available. Call for information. Trash Can Cover, 26.5"Dx33"H, (55 Gallon) Twill, Assorted Colors|100% Polyester|Machine Washable|Flame Retardant|Printable|Custom sizes available. Call for information.